Microcentrifuges, much like regular centrifuges, work by using the process of centripetal acceleration to separate substances of different densities. 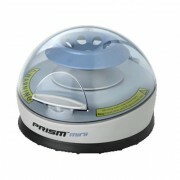 However, as their name suggests, microcentrifuges are more ideal for the separation of micro-volume protocols. Typically, they are used with liquid samples that are 2 ml or less at high speeds. They are important for biological applications in laboratories including the microfiltration of small samples and the pelleting of nucleic acids and proteins. There are various factors to consider when choosing a microcentrifuge to ensure that your product is suited to your laboratory’s needs. For example, consider the amount of sample tubes that you use per run – for larger scale experiments, you’ll want to optimize your time and thus choose a microcentrifuge that holds the greatest number of tubes. Additionally, you should consider whether you’re going to need to use different kinds of sample containers such as plates and larger tubes. If you do, you need a microcentrifuge that can handle these different kinds of containers. The Heathrow Scientific Sprout Mini Centrifuge is an ideal choice for quick spin-downs and anyone looking for a quality product that takes up a minimal amount of bench space. It also includes several safety features such as a safety switch that prevents it from working when the lid is open and a UV resistant plastic coating. Eppendorf centrifuges in particular are known for their designs that focus on pushing the limits of speed, performance and ergonomics. They also possess a high level of temperature management to ensure that your samples are as protected as possible and conserve energy. This microcentrifuge, with its maximum speed of 14,500 rpm, was designed specifically for applications requiring high-speed centrifugation. Although both of these models are small, they are incredibly powerful and easy to use. 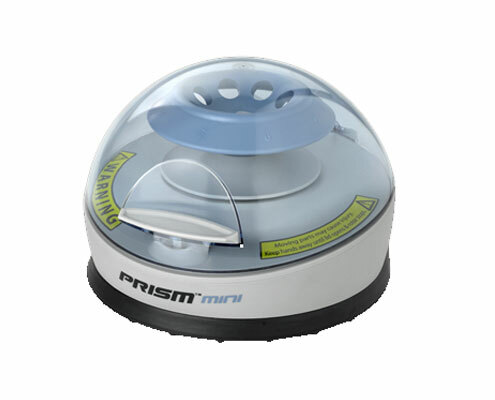 The Benchmark StripSpin 12 Mini Microcentrifuge includes a fixed speed of 5,500 rpm, is less than 6 inches wide, near silent operation and is perfect for quick spin downs. Unlike any other product of a similar nature, it is the only one that has 12 position PCR strips. 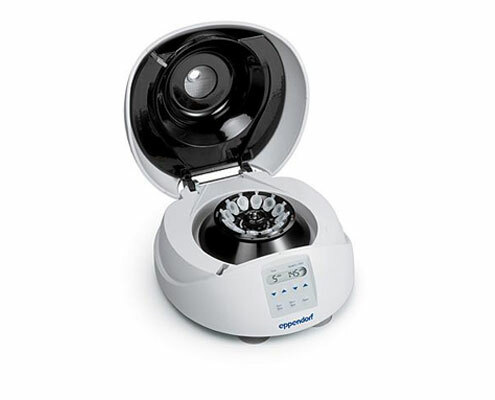 To learn more about the Heathrow Scientific Sprout Mini Centrifuge, the Eppendorf MiniSpin & MiniSpin Plus, the Benchmark StripSpin 12 Mini Microcentrifuge or to browse through all of the microcentrifuges that are available for purchase from Pipette.com – visit online today!